The Spanish government recently passed an intellectual property law that will impose taxes on websites and blogs that “post a snippet of and/or link to” copyrighted material. This includes taxing Google whose entire platform is based on linking to outside content. As such, the legislation is officially called the “Google Tax”, but it will tax any website that links to Spanish media stories. The Spanish government has successfully passed a new copyright law which imposes fees for online content aggregators such as Google News, in an effort to protect its print media industry. The new intellectual property law, known popularly as the “Google Tax” or by its initials LPI, requires services which post links and excerpts of news articles to pay a fee to the organisation representing Spanish newspapers, the Association of Editors of Spanish Dailies (known by its Spanish-language abbreviation AEDE). Failure to pay up can lead to a fine of up to €600,000. The law is the latest volley in the war between European newspapers and Google. The publishers accuse the search firm of using their copyrighted material to build up a news service without doing any reporting itself; Google defends itself by claiming that it 10 billion views to newspapers’ websites every month. What’s more troubling than the tax is that the law will also require blogs and websites “to remove links to any material that infringes copyright, even if the websites themselves don’t make money from the infringement.” Can you say censorship? The Guardian points out that Spain’s law also applies to third-party companies who provide services to a website that hosts or links to copyrighted material. If Germany’s experience with this protection “tax” for print media is any indication, it will likely ruin more jobs and ultimately result in less revenue for Spain. A similar law passed in Germany saw Google removing the affected newspapers from Google news altogether – before the publishers eventually came back and asked to be relisted after seeing their traffic plummet, a step they said they had to take because of the “overwhelming market power of Google”. Nevertheless, this type of copyright enforcement seems to be desired method by European nations, which makes the prospect of regulating intellectual property through the Transatlantic Trade and Investment Partnership (TTIP) that much more worrisome. Indeed, the United States has proven to be in favor of drastic methods to combat copyright infringement as the Department of Homeland Security seized websites for merely linking to copyrighted material in the recent past and attempted to pass similar legislation in SOPA and PIPA. 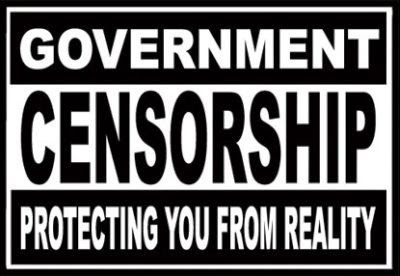 It seems clear that a law like this creates huge potential for government censorship, which may be just as much motive as protecting entrenched media companies.